Can you clarify what you are trying to import? Are you trying to import a form to your account? Is the problem occuring in the form or from your account itself? I have cleared your form caches, please try to clear your browser cache and cookies and check if this could fix the issue you are having. If problem persists, please provide more information so that we could assist you accordingly. I am trying to import data into the submissions worksheet. How do I do that? Please, correct me if I'm misunderstanding your concern. 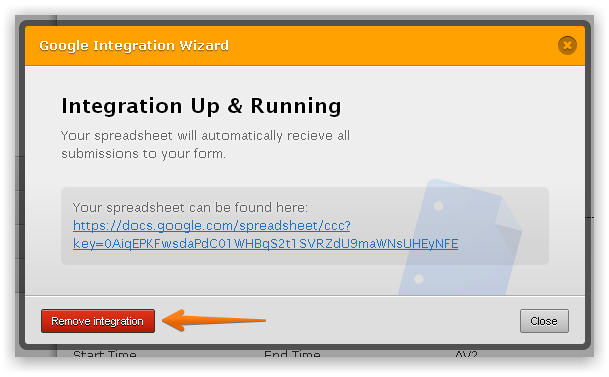 From my understanding: you have integrated your form with google Spreadsheet, but it is not adding the submission data to the spreadsheet automatically, is that correct?. Please let us know if the issue still persists.